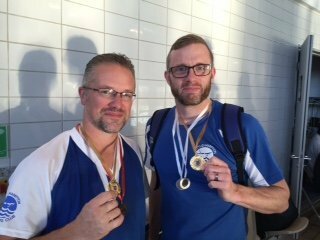 “Darren and I had a great day at the Sussex Masters Champs this weekend. Clubs from right across Sussex were represented so there was definitely some strong competition, but, we pushed hard and got some hardware for our efforts (2 golds, 4 Silvers, 1 Bronze) plus some good PB’s. Next: Next post: Arena League Round 1 Well done team!